Itinerary: 2 weeks in China - What to do and see in 14, 15 OR 16 days? Home/Asia/China/Itinerary: 2 weeks in China – What to do and see in 14, 15 OR 16 days? Itinerary: 2 weeks in China – What to do and see in 14, 15 OR 16 days? China , my favorite travel destination, is a huge country which conceals so much to discover! 2 weeks in China is enough to get a good idea of ​​the country and discover some of its most famous attractions. To help you prepare your trip, I propose a complete itinerary, with activities and suggestions for accommodation. On this 2-week itinerary in China : Shanghai , Zhangjiajie, Xi’an , its terracotta army and Mount Hua, the Great Wall of China and Beijing . 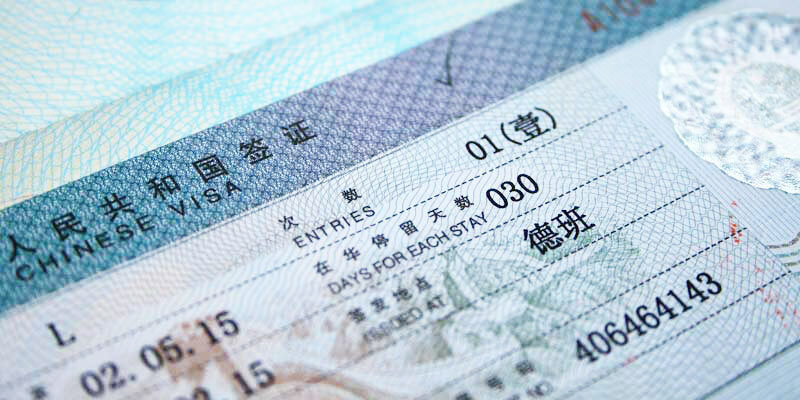 So how to visit China in 14, 15 or 16 days? On the way to the middle empire! Landing in Shanghai , the most western of Chinese cities, is a good way to make a smooth entry into the country for your 2 week trip to China . It is indeed the city where you will have the best chance to meet English speaking people to inform you if necessary. Start your Shanghai tour by exploring Shanghai’s ancient city, including Yuyuan Garden and the beautiful Huxinting Tea Pavilion, which is located next door. In the afternoon, you can visit the Pearl of the Orient, the iconic tower of Shanghai. There are 2 observation terraces: 263 and 350m high, as well as a rotating panoramic restaurant located just above the 1st terrace. Next door is the impressive Ocean Aquarium in Shanghai, a good idea to visit to complete the afternoon, especially if you are with children. 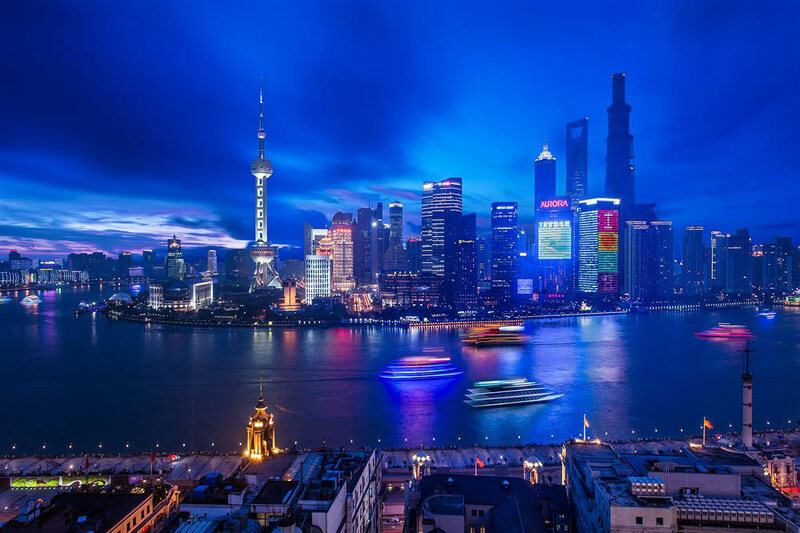 It is the night that Shanghai is the most impressive and unveils all its charms: I recommend you end this day with a stroll on the Shanghai Bund by night, this is the best place to take photos of Pudong district and especially Lujiazui , the business district. It is also an opportunity to admire the Pearl of the Orientilluminated! You can also take a night cruise on the Hangpu River , which will offer you another view of the city. For your 2nd day in the Chinese economic capital, if you are an early riser or a photography lover, you should return to take a ride on the Bund at sunrise , it’s beautiful! Depending on the time of your flight to Zhangjiajie , the next leg of your 14 or 15 day trip to China, you can go to People’s Square, Shanghai’s largest square. If you are there on a Sunday morning, you will see a rather amusing custom: the ” betrothed market “, where hundreds of Chinese people post announcements to marry their daughters or sons! Then head to the airport to fly to the 2nd leg of your itinerary. 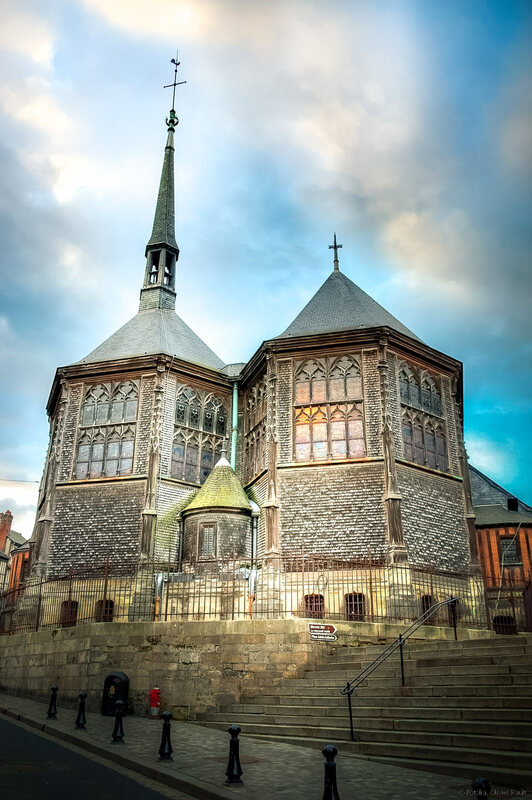 The Rock & Wood International Youth Hostel is one of the most popular in the city. Convenientlylocated in Changning, Shanghai’s central district , the hostel offers clean rooms with free Wi-Fi. Night in dormitory from 12 euros, and in double room from 30 euros. the Hengshan Moller Villa Hotel , Located in the heart of the French Concession, this great home, a fascinating blend of Chinese and Norwegian architecture , was the property and personal residence of a wealthy British businessman in the 1930s. Overnight stay double room from 100 euros. the Shanghai On The Bund Indigo Hotel , located on the banks of the Huangpu River, is an exceptional place. Ideally located, it offers breathtaking views of Pudong District. The hotel is a 2-minute walk from the marina and 500 meters from Bund Boulevard . You can treat yourself to one of the best hotels in Shanghai from 160 euros per night. All information to visit Shanghai are in our article: What to do in Shanghai? Your route now takes you to Hunan Province, specifically to Zhangjiajie National Park. 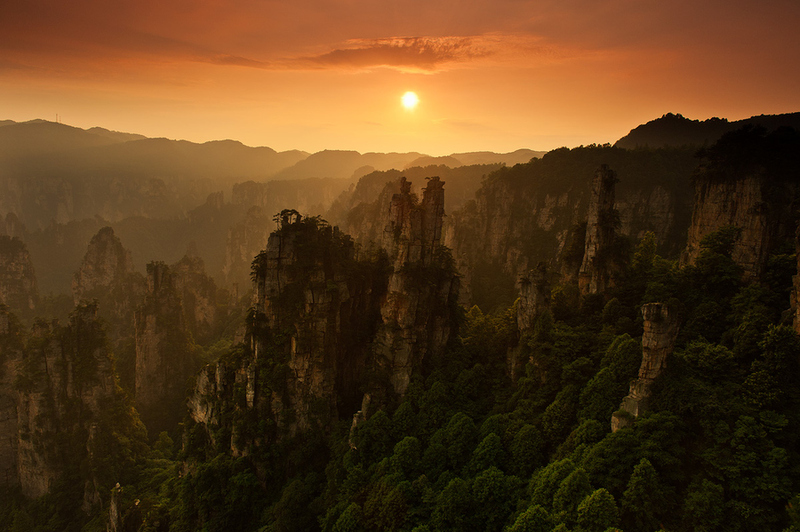 If that name tells you anything, it’s that Zhangjiajie National Park has been James Cameron’s source of inspiration for the dreamlike settings of Pandora , the planet on which the story of the movie Avatar is set. The city of Zhangjiajie , which is the starting point of the cable car to Tianmen Mountain. I do not recommend it because it is quite far from the entrance of the park and rather noisy! 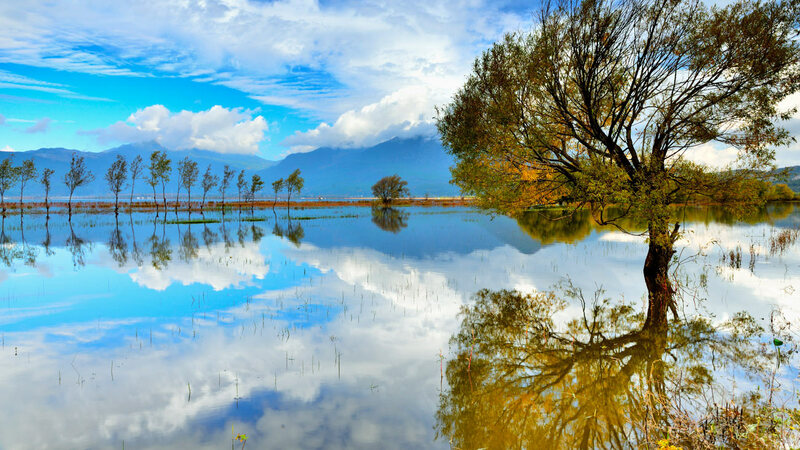 The village of Wulingyuan , quieter than the city, creates for tourists close to the entrance of the national park and also closer to other attractions in the area. This is where the hotels are the best, an excellent choice. In Zhangjiajie National Park: This is of course the most expensive option from a cost / benefit point of view, but the only one if you want to be in the park to photograph the sunrise! If possible try to spend at least one night there. You will arrive from Shanghai in the evening, then you can enjoy 3 full days on site. Even if you want to sleep in Zhangjiajie National Park , I recommend you spend the first night on your arrival at Wulingyuan , which is less far from the airport. For other nights, it’s the way you want it! In the national park or stay in Wulingyuan. Entry into the park costs 250 yuan per person and serves as a 4-day pass. The first 2 days will be dedicated to the visit of Zhangjiajie National Park , it’s great and there are many places to discover! As new developments on the site are quite common, the best thing is for you to ask your hotel for the latest details on the possible excursions in the park . This is the best way to have the most up-to-date information. The Yellow Dragon Cave (Huanglong) : a Chinese-style, lighted cave, similar to the Guilin Reed Flute Cave for example, but larger. Zhangjiajie Grand Canyon: In the same day, you can also visit Zhangjiajie Grand Canyon and its famous glass bridge! Mount Tianmen : the famous mountain with a rock arch, there are at least 3 in China, but this one is the most famous. There were in particular wingsuit competitions where athletes went through the hole in the mountain! The visit takes the full day. There is also Baofeng Lake , but I heard it became a tourist trap, so I do not recommend it. What to do in China in 16 days? If you are lucky enough to be able to make a 16 day trip to China , you will be able to do the 3 attractions I mentioned above. This is the best choice for this route! If you only have 2 weeks in China, impossible to take the train , the trip Shanghai – Zhangjiajie for 24h! In order not to waste time, you will have to take a Shanghai – Zhangjiajie flight in the middle or end of the afternoon if possible. To visit Zhangjiajie National Park , it is best to stay in the city of Wulingyuan, near the entrance to the park. Yinshe Guesthouse : This is my favorite hotel and the best choice in the area! If there is no more room, you can try the Shuimu Nianhua Inn or the Pan Shan Yi Zhan , which also have very good reputation. You can also stay inside the park, to enjoy the sunset and the sunrise! It is rather spartan from a comfort point of view. I recommend the Zhang Jia Jie Yi Xiang Zhen Zhen Pin Ke Zhan or the Dream Hostel PA International Youth Hostel which are very well located. 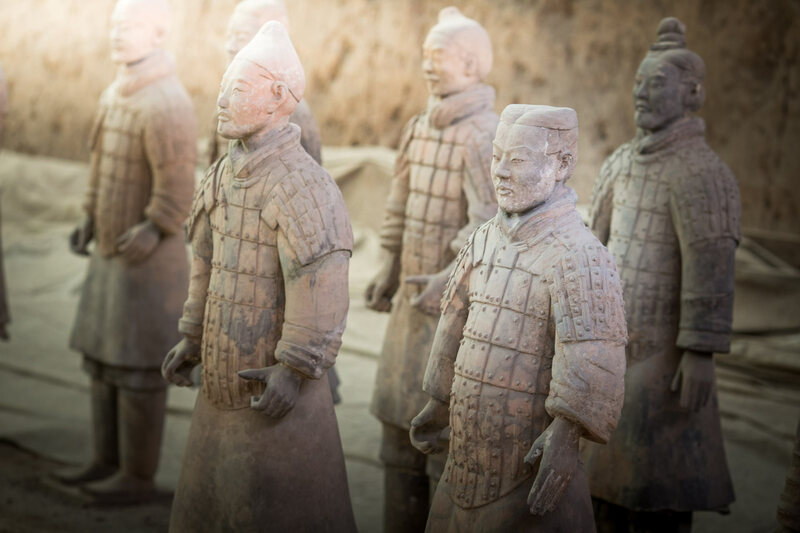 This 3rd leg of your 2 week stay in China will take you to Xi’an , a city known worldwide for hosting the mausoleum of Emperor Qin and the famous terracotta army. For your first day in the city, go discover the tourist site of Huaqing Gong as well as the Terracotta Army . Both sites are on the same bus line, so it’s very convenient! First, head to Xi’an Station to take bus 306 and get off at the 1st stop (about 30 minutes). You can not miss it, there is a huge statue at the park entrance. Try to be there at the opening, the site is very big and you have a lot to see in the day! It is important to start with Huaqing Gong , simply because the bus for the Terracotta Army does not stop there on the way back. Lower , with the palace and hot springs dating back to the Tang Dynasty. The mountain and its paths , which make the connection between the low and high parts. High, with mainly a pretty temple . There are also small villages to visit in the mountains, if you want to get there, the best is to rent horses, for about 5-7 euros per person. From the park, there are still about 30 minutes of bus to get to one of the most touristic places in China. The visit to the site of the Terracotta Army will take you the rest of the afternoon. A visit to absolutely include during your 2 week tour in China. The return to Xi’an is then done with the same bus as the outgoing. In the evening, I recommend you to go downtown for dinner and enjoy the beautiful illuminations of the walls and the Bell Tower . 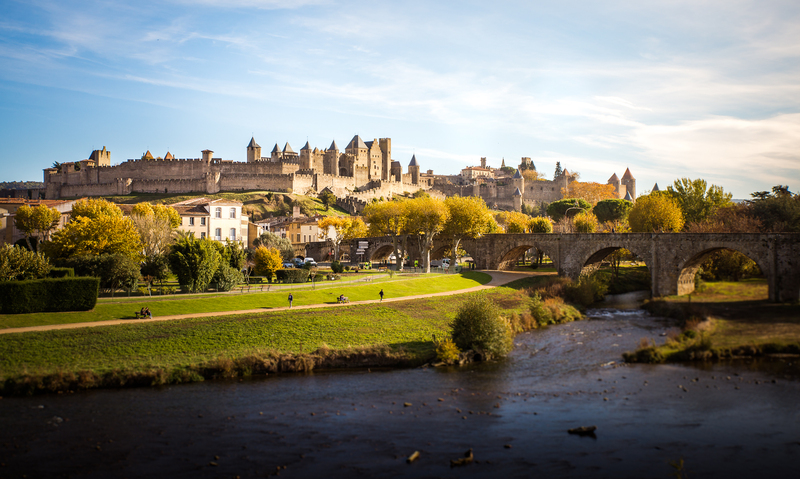 The most motivated of you can even bike on the ramparts until 22h! The 2nd day will be dedicated to the visit of the city of Xi’an. 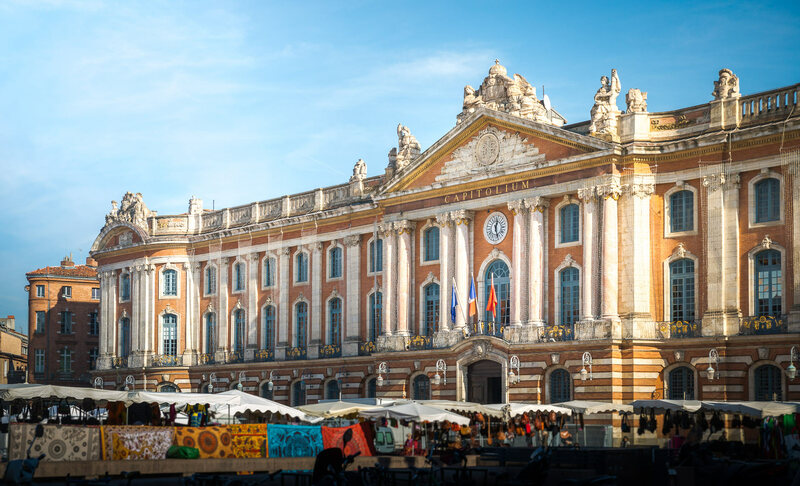 Start with the city center in the morning, with the Bell Tower, Drum Tower and the Muslim Quarter with its famous market, where you will find something to eat at any time! Do not miss the visit of the Great Mosque of Xi’an , in the heart of the Muslim district. In the afternoon, head south to the Great Wild Goose Pagoda , another must-see in the city. Visit the adjoining park, then head for the street south of the park and the Great Tang All Day Mall , with these beautiful statues inspired by the Tang dynasty. Then return to the park to see the last show of musical fountains of Xi’an , which is a must see at night. The next day, direction Huashan (also called Mount Hua). To get there, the easiest and fastest way is to take the express train from Xi’an North Station to Huashan North . You will then have to take a minibus to the entrance of Huashan. Above all, take the train as soon as possible , so you have time to enjoy! Huashan’s visit from the North Peak will take you about 4-5 hours to make all the summits , and the return to Xi’an can be done by train or bus (2h). For your last day in Xi’an , you will be able to get a little quieter and recover from your day in Huashan. You can go to the little Wild Goose Pagoda, do 1 or 2 museums in the city such as Shaanxi History Museum or Xi’an Museum. In the evening, you can watch the Tang Dynasty show or, if you have not done so yet, take a tour of the Xi’an City Wall. The Silk Road in Chang’an Youth Space : I recommend this hostel located in the city center. Modern dormitory from 8 €, breakfast surcharge 4 €. Most: very friendly and roof terrace. Xi’an See Tang Hostel : Hotel very well located 400 meters from the city walls. Modern and bright room with refined decoration from 34 € per night, breakfast at 4 €. Most: beautiful terrace with glass roof on the roof to have lunch. Time Tunnel Designer Hotel : Luxury hotel located right in the art district of Xi’an, 30 minutes from the famous Museum of Terracotta Soldiers. Beautiful room with elegant design from 65 € per night, breakfast 8 €. The most: its design; complimentary metro pass, complimentary bath and mini bar in all rooms. The best value for money in the city, my favorite in Xi’an! You will find more details about Xi’an tours in my full article: What to do in Xi’an? 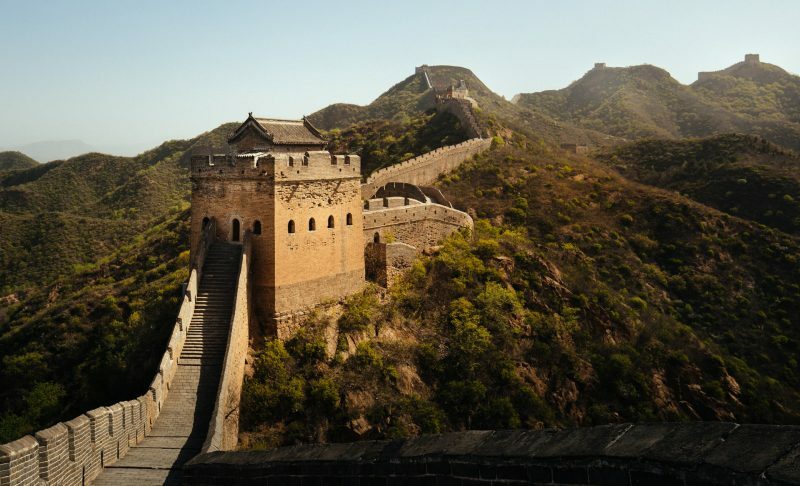 Now, head to the Great Wall of China and especially the sections of Jinshanling, Gubeikou and Simatai , little touristy and simply the best to visit. It’s a must on your 14, 15 or 16 day tour in China! The first day of your journey to the Great Wall of China is to go there from Xi’an. As usual, you will find transportation solutions at the end of this part. Whether you choose the train or the plane, you will arrive at your hotel at the end of the day . I also recommend the Chengtao Xiaozhu Folk Inn in the village of Gubeikou , located just 5 minutes from the Great Wall of the same name! Take the 4-5h hike that will bring you, through the wall, from Gubeikou to Jinshanling . Then you visit the Jinshanling section. This is the best solution, but it is not easy! Go to Jinshanling by car or taxi and do only this section. It’s perfect for those of you who are looking for a quieter pace. Go to Simatai by car , and do only this section. Another “quiet” version. Do only Gubeikou section , but it would be a shame, because it is not in very good condition and the Jinshanling section is, in my eyes, more beautiful. What’s great about Gubeikou and Jinshanling is that you’ll be alone, almost. I recommend going early in the morning , or even early enough to enjoy the sunrise. You have the option to do Xi’an – Beijing by express train , the journey takes between 4:30 and 5am. The train departs from Xi’an North Railway Station and arrives at Beijing West Railway Station. Xi’an-Beijing can also be done by plane, for a journey time of just under 2 hours. From Beijing , you will then take the bus to go to Gubeikou . It is very easily done by public transport. Then take bus Mi 25 to Gubeikou . Chengtao Xiaozhu Folk Inn in the village of Gubeikou. This is the best hotel to visit the sections ofGubeikou and Jinshanling , it is 5 minutes from the wall. I advise you to book well in advance to be sureof having a place, since it is the best placed hotel in the area. The last leg of your 2-week itinerary in China, Beijing is the political and cultural capital of the country. For your first day in the imperial city, head for the Forbidden City . Try to be there at the opening (8:30) to avoid as much as possible the crowd at the entrance desk. The visit of this palace which was during 5 century the residence of the emperors will take you between 4 and 5h. On your way out, go for lunch and visit the Hutongs (old districts of Beijing, with many small streets). You can then return and walk around Tian’anmen Square where you were in the morning (this is where the entrance to the Forbidden City is located). This is the largest place in the world! Do not miss the place: The Monument to the Heroes of the People and the mausoleum of Mao Zedong. To the west of the square is the Beijing National Center for the Performing Arts, a building with a very photogenic architecture, to be seen preferably at dusk, when it is reflected in the basin that surrounds it. . In the evening, you can dine in an adjoining street at the touristy Qianmen Street, south of Tian’anmen Square. The next day, another inescapable Beijing is on the program: The Summer Palace , located north west of the capital. It is a huge park that includes, in addition to a palace, temples, pavilions, halls and bridges . 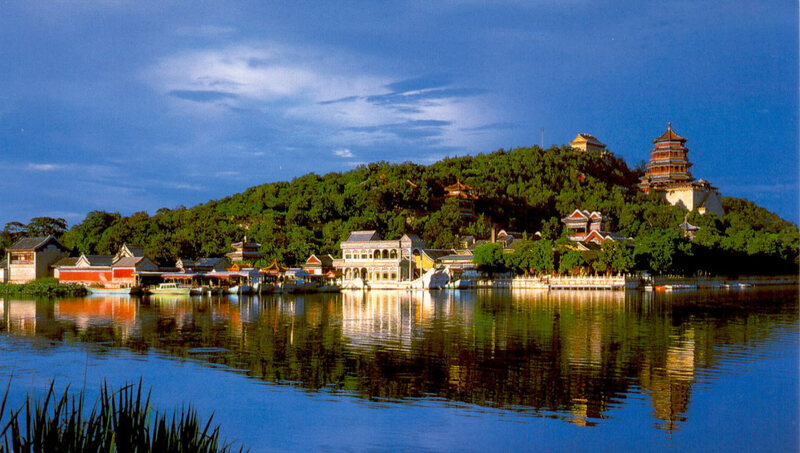 Add to that the Kunming Lake , which reflects the beautiful buildings of classical Chinese architecture. This is my favorite place in Beijing! Starting at 9.30-10am from your hotel in the city center, the visit of the Summer Palace + the return trip will keep you busy all day. It’s already your last day in Beijing , and it’s time for you to go to the airport to catch your flight. 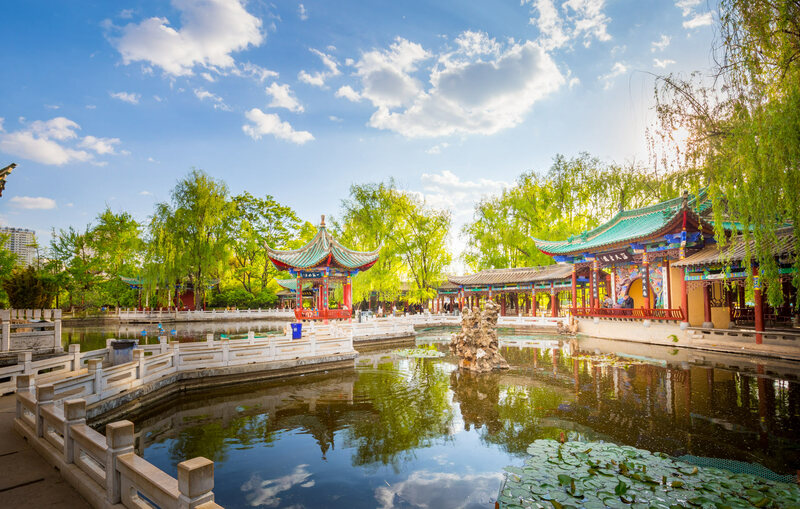 If you are lucky and it is in the evening, you can take advantage of your remaining hours to visit the Temple of Heaven, or the Lama Temple or relax at Beihai Park. Gubeikou’s return to Beijing is like going by bus. Happy Dragon Hostel Courtyard Dongsishitiao : Hostel in a quiet area 150 meters from the nearest metro station and 3km from the Beijing train station. Bed in dormitory from 8 € per night, breakfast at 4 €. Very welcoming staff. Most: ideal location and English speaking staff. Shichahai Shadow Art Performance Hotel : Nestled in the heart of a hutong, in the historical district of Xicheng, close to the lakes. Room combining modernity and typical decoration from 57 € per night, breakfast buffet (very rich) included. Most: Free Chinese shadow show and opportunity to take a calligraphy or cooking class. Our big favorite in Beijing! Beijing Double Happiness Courtyard Hotel : Typical hotel located in a hutong near the center, a 20-minute walk from the Forbidden City. Very comfortable room decorated in the old Chinese style from 100 € per night, breakfast included. Plus: the hotel offers excursions at attractive rates. Legendale Hotel beijing : Hotel 5 * very well located near a metro station and the Forbidden City. This European-style palace is truly sublime, and the staff can not do enough for you! Overnight from 170 €. This is for me the best choice for a luxury stay in Beijing. This 2-week itinerary in China has allowed you to discover some of China’s must-haves. 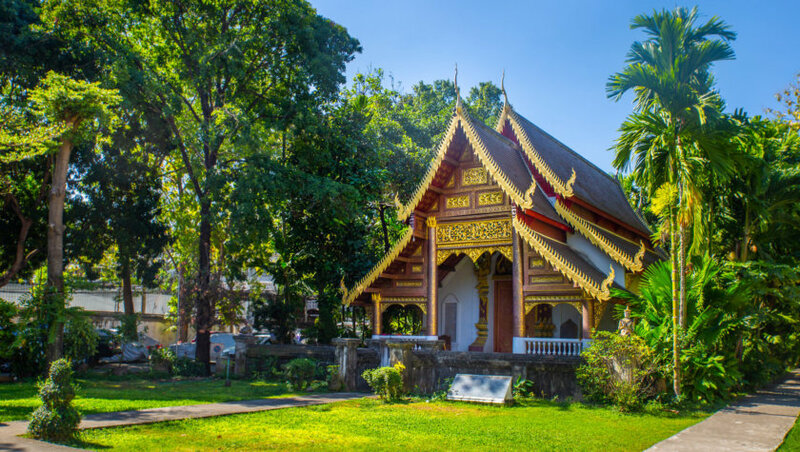 The country is huge and with hundreds of wonderful sites to discover , mostly totally unspoiled mass tourism , you will certainly want to go back! I invite you to read all our articles on China to discover a little more this beautiful country.